The LCT-1000™ represents one of the longest-lived therapy lasers in the industry. Durable and easy to use this unit allows the clinician to deliver 10 Watts of therapeutic power through a variety of treatment head attachments. Touch screen facilitates ease-of use allowing for quick treatment protocol programming. 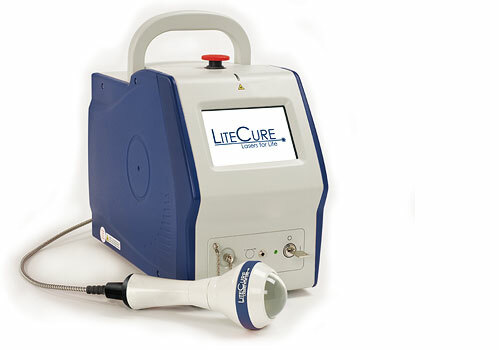 The LCT-1000 comes with LiteCure Medical’s patented laser-massage ball treatment head; providing an unrivaled level of versatility. Feel the soothing warmth of the LCT-1000 and experience consistent positive outcomes with this 10Watt therapy laser. Dr. David Kaiser explains to KENS 5′s Wendy Rigby, the use of the LiteCure Therapy Laser in his practice, and how it helps improve the lives of his patients.